Hello there! 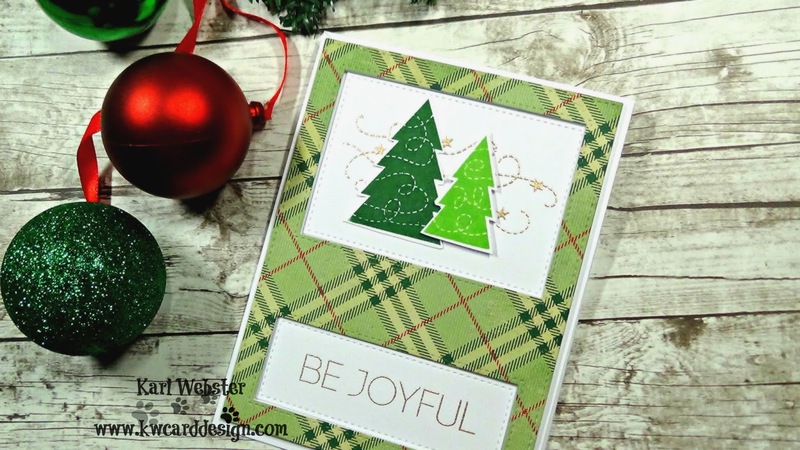 Welcome to Card 13 in my HCS for 2016! Today, I am using a stamp set that released last year with Simon Says Stamp that I didn't get to play with. I also used the Crate Paper Bundled Up 6x6 pad also from last year! I used my MISTI tool to stamp out my trees as these are solid images, and I wanted to ensure that I got a good impression of these images. 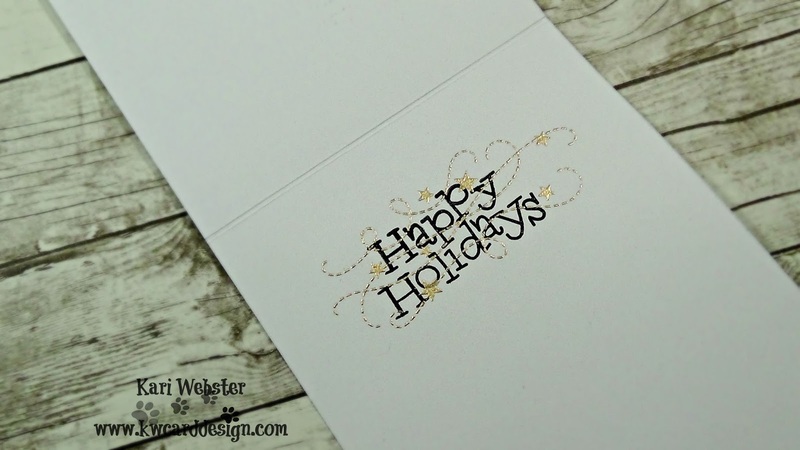 For the inside of my card, I decided to emboss just like I did on the outside to complete the card design. For full details of how I put this card together, I invite you to watch the video tutorial! All the supplies used are listed below! See you soon! This is beautiful Kari. Love the plaid, really showcases the images!